How Far From Home Are We? The sounds surrounding us are an often neglected, but very important part of our perceptual experience of places and the world in general. This workshop provides guidance on deepening our listening in each place and how to bring soundscape awareness and sound journeys into our work. 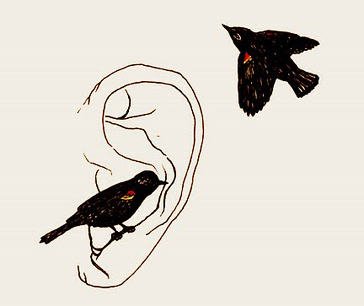 The workshop will include brief introductions to sound, listening and sound art as well as providing participants with experience-based listening exercises in and out of doors, to open our ears and minds to the sounds surrounding us. “Sounds Surround” is open to all, but is especially geared towards artists, teachers, park rangers and interpretation specialists. To register for the workshop please contact Claire Coté at 575-586-2362 or by email at email@clairecote.com. 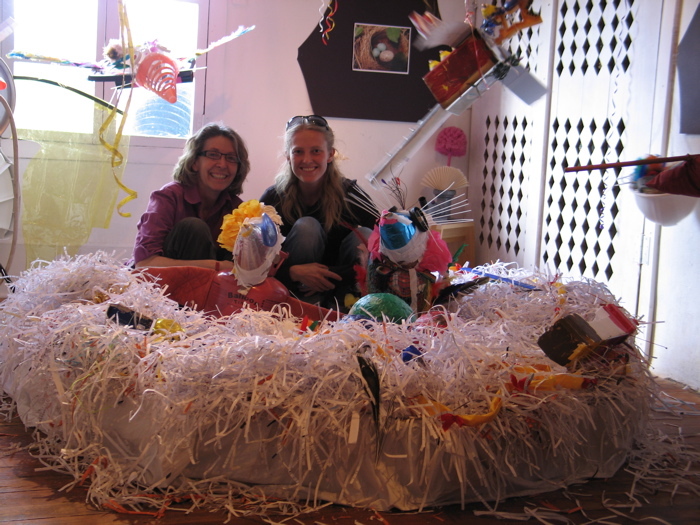 Recycled Art Workshops at the Harwood! 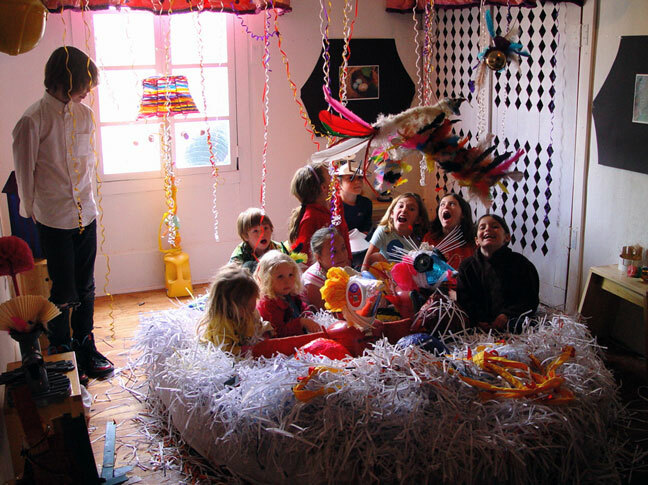 For the past 3 weekends, I team-taught 3 Recycled Art Workshops at the Harwood Museum of Art with Taos artist, activist and educator, Sienna Sanderson. It was wonderful to work with Siena and I loved the opportunity to provide a creative outlet for kids and families to create art using repurposed and recycled materials. The Taos News did a little feature on the project as well. You can read it here. Sienna and I chose the theme of “nature in spring” with a focus on birds, flowers and bugs. Each week we had a particular focus with creating birds, then bird housing (bird houses and nests both bird-sized and kid-sized) and then food (bugs, caterpillars, slugs and snakes) for the birds along with lots of lowers, eggs and other inspired creations from participants’ imagination. The creations from the workshops are installed in the Education exhibition area of the Harwood Museum on Ledoux St. in Taos through the end of May 2010. If you have the chance to stop by, do it! You won't be disappointed! 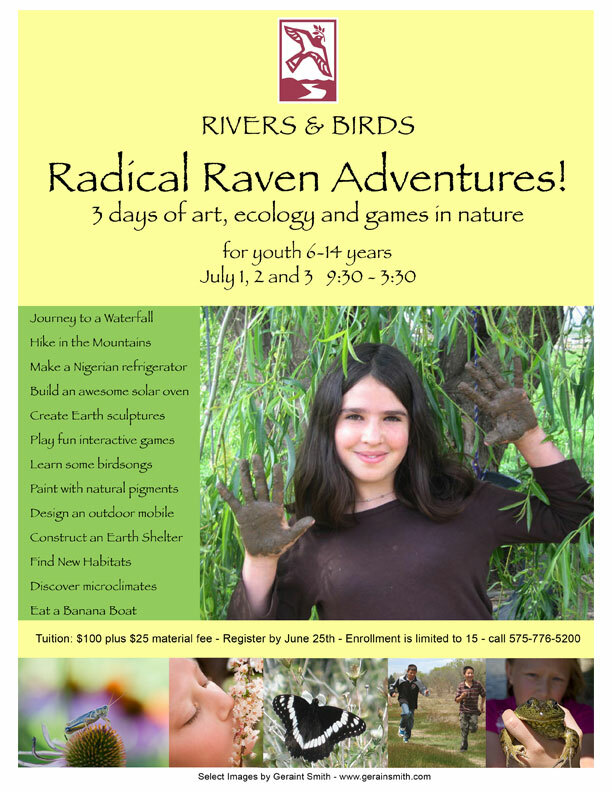 Today details were finalized on an upcoming 3 day summer camp that I will be co-facilitating with Roberta Salazar, executive director of Rivers and Birds. The camp will explore sustainability and ecology through art, games and other hands on projects. If you have kids who might be interested in attending, please call us at 575-776-5200 to reserve a place by June 25th, 2009. We hope that this will be a pilot project for camps and workshops in future years! Peruse this blog to find news and updates about my current, ongoing and past projects, art shows etc. Subscribing to receive posts by email will be available soon!